This post was co-authored by Sarina Larson. Social media is an activism platform yielding more value each day. In 1989, during a lecture, Noam Chomsky stated, "Look, the peace movement in the Sixties became a huge mass movement, with tens of millions of people involved: it began with people doing just what you said, inviting somebody to come talk in their living rooms... When the time is right, things happen fast." Comparing how quickly activists came together to form the Civil Rights and Anti-War movements in the '60s, to current sprouting social movements fueled by hashtags like #ICantBreathe, one can observe the exponential amplification value that social media serves in activism today. Social media provides an open global community for citizens to have a voice and make an impact on social change in real time. To commemorate Human Rights Week (December 10-17) and International Human Solidarity Day (December 20), we revisited some of the most impactful social movements of 2014 that were simultaneously shared to social networks with hashtags we'll never forget. We, the people, have hashtagged. 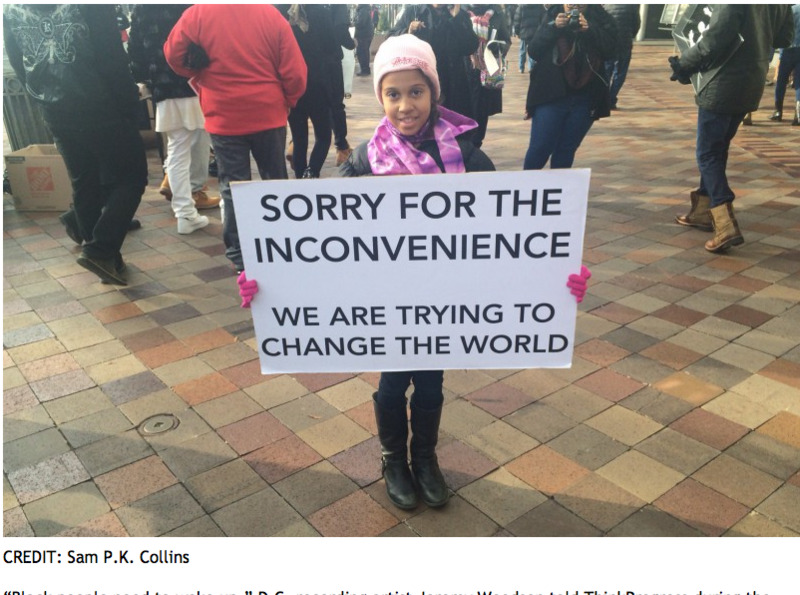 View the full Storify feed of top 10 social activism hashtags of 2014 here. From Folsom, CA, Sarina Larson is a California girl with a global perspective. She has lived in the Netherlands, Thailand, the U.S. and has traveled to 25 countries. She channels her inner humanitarian and social entrepreneur as a marketing consultant, co-Founder at BoostBlocks and co-Founder of the music centered non-profit, Bizlanthropy. Tasha Mitchell is a Media Specialist with a decade of professional experience in branding and media relations. Tasha runs an integrated media company Analog Media that specializes in web design, social media marketing, e-newsletters, e-commerce, and more. When she's not working, she's networking at events, concerts and cafes - writing along the way. Her interests include arts and culture, social issues, and new media.